With more than 30 years of experience, Robert Cornish has the know-how to handle pumping, cleaning, repairing, and even designing residential, commercial, and aerobic systems for clients in Fort Worth and the surrounding communities. We also have a state-approved disposal facility, meaning you don’t have to worry about the environmental impact of our septic service work. We understand the potentially harmful nature of these materials, so we take every effort to carefully follow the highest possible waste disposal standards. This means we can handle even the most unpleasant of problems as quickly as possible. Give us a call for any septic service you need completed. Your septic system needs to be in proper working order to make sure that waste water is properly removed from your home without any issues that can be very unpleasant for you and everyone in your neighborhood. We have good standings with the Better Business Bureau because we value customer service and satisfaction. 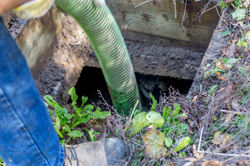 This means that whether you need regular maintenance to keep the septic system in proper working order or repair or pumping service to handle a messy issue, we will meet your needs and exceed your expectations. Don’t wait until an unpleasant problem arises when you have family or friends over. 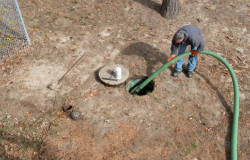 Call us for reliable septic system service.